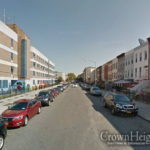 The incident occurred at around 7:30am at the intersection of Kingston Ave. and President Street in Crown Heights. The 13-year-old boy was crossing Kingston Ave. when a large Infinity SUV made a right turn from President Street onto Kingston Ave., striking him. 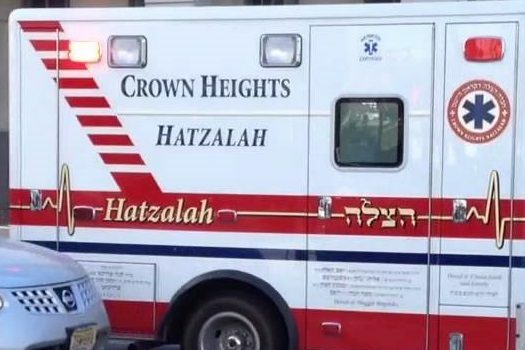 Hatzalah and 911 were called by bystanders; Hatzalah volunteers arrived within minutes and administered first aid, then transported the boy to a local hospital. 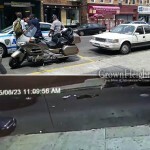 He is unconscious and listed in critical condition, with bleeding in his brain. The driver remained at the scene and called 911. Several witnesses remained at the scene as well in order to give a statement to police, but they didn’t arrive at the scene until about a half hour after the accident. Most of the witnesses had already left by then after growing impatient, and were not present to give a statement. The parents of the boy asked the community to say Tehilim on his behalf: Shneur Zalman Ovadia Ben Rina Miriam. Every parent’s nightmare. Refua shleima. Please Hashem save this young boy now! Refuah Shleima, speedy recovery BZH. רפואה שלימה וניסית תכף ומיידי ממש.הייתי בחדר של הרבי והתחלתי לרפואתו.הרבי יפעל גדולות ונצורות בשבילו.נקבל החלטה טובה למענו ונשמע בשורות טובות.מתחילה בי.קיבלתי החלטה טובה. My heart goes out to him and his family. Have a lot of people praying for him hoping for speedy recovery! may he have a speedy recovery in zchus of his parents’ amazing hachnasas archim! Amein! And all the good they do! Helping people with shidduchim and more, done in a quiet way. May Schneur be bentched with a complete recovery and continue to grow to be a true Chayal!